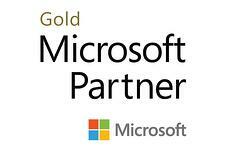 iV4 is the most recognized Microsoft Partner in Upstate New York. You won't find a more experienced and ingrained organization that is fully invested in Microsoft technologies. iV4 is a Microsoft Gold Partner, a two-time Microsoft Partner of the Year Winner, and a Top 200 Microsoft Solutions Provider. If you’re looking to implement Microsoft Solutions, iV4 is your best choice. A Microsoft Security Trifecta Partner is a recognized Microsoft partner that encompasses the skills to effectively manage and deploy Microsoft 365 which includes Enterprise Mobility + Security, Office 365, and Windows 10. The EMS Elite Partner Program allows iV4 to interface directly with the Microsoft EMS product teams and engineers to get insight into product roadmaps and provide feedback to consistently improve products. Microsoft Advanced Support for Partners allows iV4 to interact directly with Microsoft’s senior engineers and Cloud experts to get issues resolved faster and receive guidance on architectural best practices. Software Assurance Planning Services provide on-site deployment planning support from a qualified Planning Services partner. Structured engagements are designed to help you evaluate how Microsoft products and services may support your organization and address key implementation questions and concerns based on your organization’s unique needs. A Tier 1 Cloud Service Provider is a partner who works directly with Microsoft, while a Tier 2 provider works with Microsoft via distributors. Working with a Tier 1 Microsoft CSP partner means you’re teamed up with an organization that has invested in its own infrastructure and demonstrated its support and billing capabilities are up to Microsoft standards. The Partner Seller program, more commonly known as “P-Sellers”, are deeply integrated into the Microsoft ecosystem and receive access to many of the same resources and presentations as internal Microsoft teams, which allows them to be more responsive in customer engagements and less dependent on Microsoft employee assistance.